London’s dreary, grey Autumn gives way to the clear, crisp Winter skies in the British capital. We spent three winters living here and came to visit London in the winter three times before moving there eventually. Although we would always prefer the beach and warm weather, we loved bundling up, drinking mulled wine and getting out and exploring our adopted city. Read on for the five reasons we think make London an excellent destination for the winter months. Nothing better than a cozy British pub to warm up at on a chilly winter day! 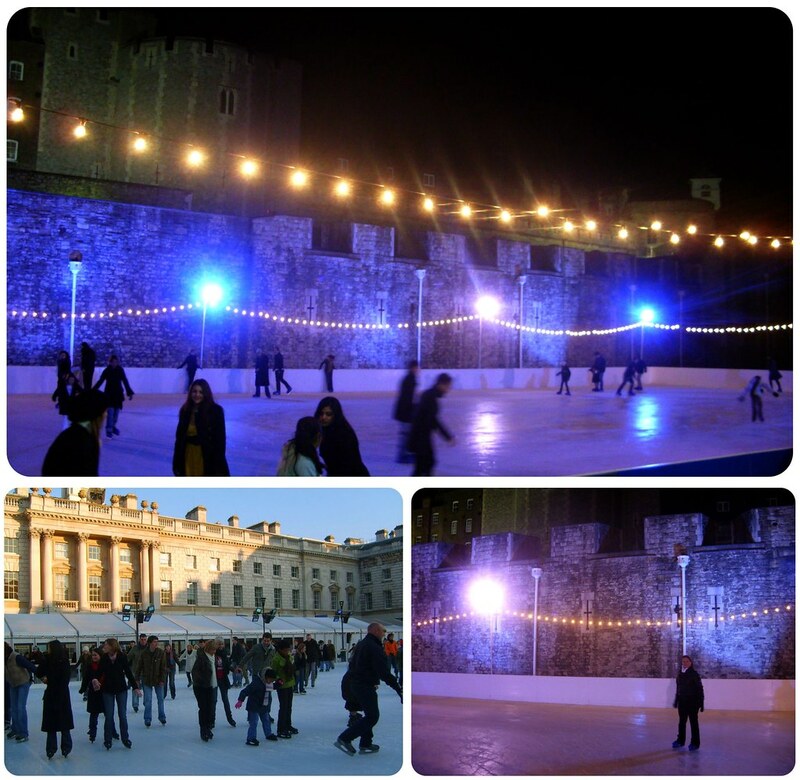 We love the ice rinks in London, all of which come with a pretty backdrop – there’s the ice rink right in front of the Tower, by the Natural History Museum, inside of the gorgeous Somerset House, one by the London Eye and one in Hyde Park, to name only a few. The ice rink in Hyde Park actually belongs to the huge Winter Wonderland that also has fun rides, a Ferris Wheel, and a Christmas markets with mulled wine and yummy food. 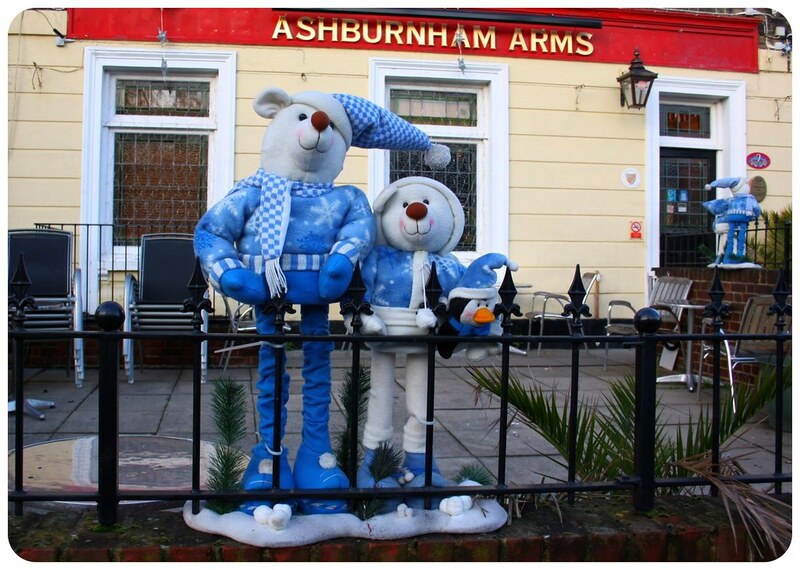 You can find a full list of all London ice rinks here. January and February are the best months to visit London if you are not keen on the tourist crowds that tour London during the spring and summer months. Camden Market for example is almost empty compared to the thousands of people who walk through the Stables in the summer, and on a walk along the Southbank you don’t have to rub elbows with other tourists. 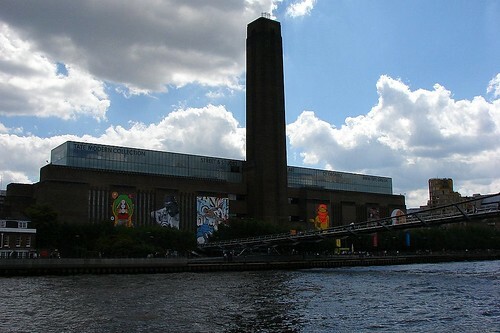 You’ll have the museums almost to yourself on weekdays and attractions like the Tower, the London Eye or St Paul’s Cathedral have much shorter lines. 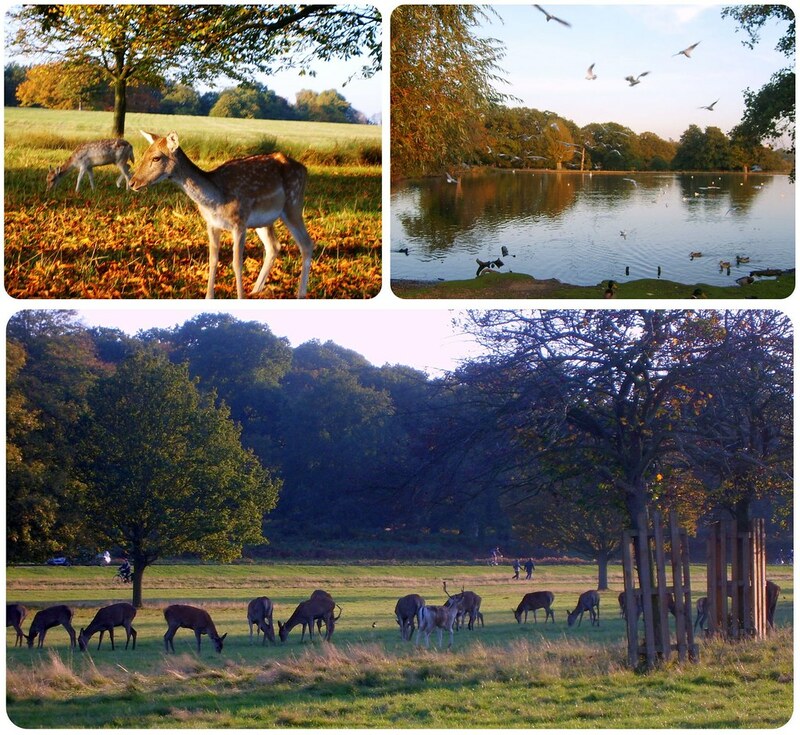 We love strolling through London’s parks in the winter months. 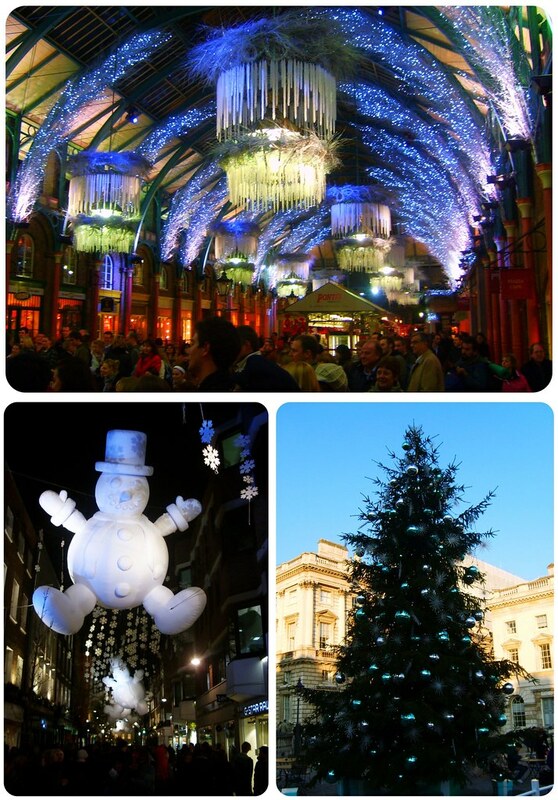 Not only will you miss the crowds in the winter months, but it is also much cheaper to visit London during the winter! Hotels have special offers, and deals for flights to London can be found everywhere! Even the most comfortable airlines, drop ticket prices considerably. There are also much more competitive groupons, 2 for 1 offers, and discounts for theater plays in the West End. While it tends to rain a lot during October and November, the rest of the winter is usually filled with blue-skied days and lots of sun. Thanks to the mild climate of the British Isles, the winters are much warmer than in continental Europe or the East Coast and northern parts of the U.S. The first time I visited London in February, we boarded the plane in Frankfurt at -15°C and got off the plane in Heathrow at +15°C – a difference of 30°C! While sightseeing in cities like New York or Chicago in January is nearly impossible due to the cold temperatures, it is actually enjoyable to go for a stroll through London’s neighborhoods in the winter and ending your day in the warmth of the English pub, and it barely ever snows. 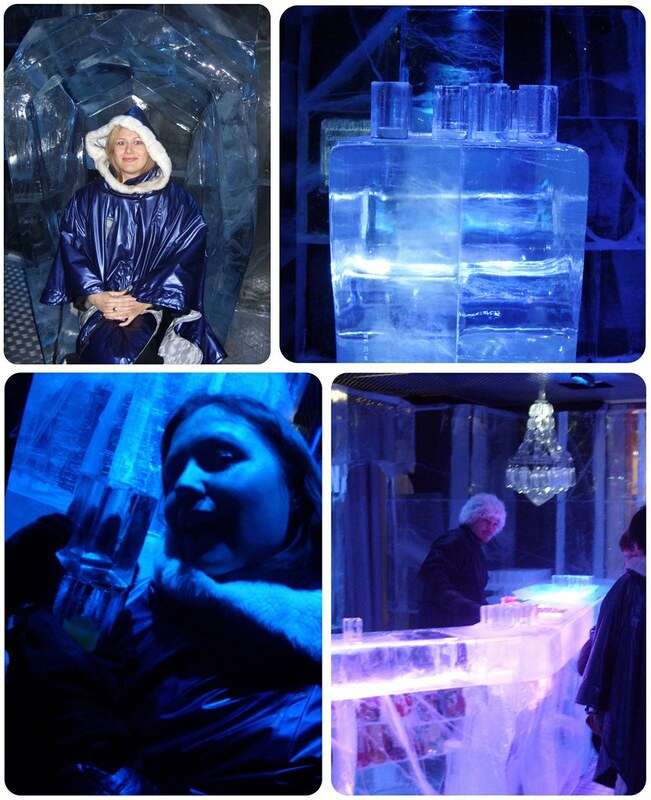 A visit to the Ice Bar will make the outside temperatures seem almost tropical! For most travelers, a visit to England might actually mean a visit to London and a few surrounding stops, but it is travel beyond the capital that provides the quintessentially English experience. What about picturesque towns such as Bath, York or Canterbury? 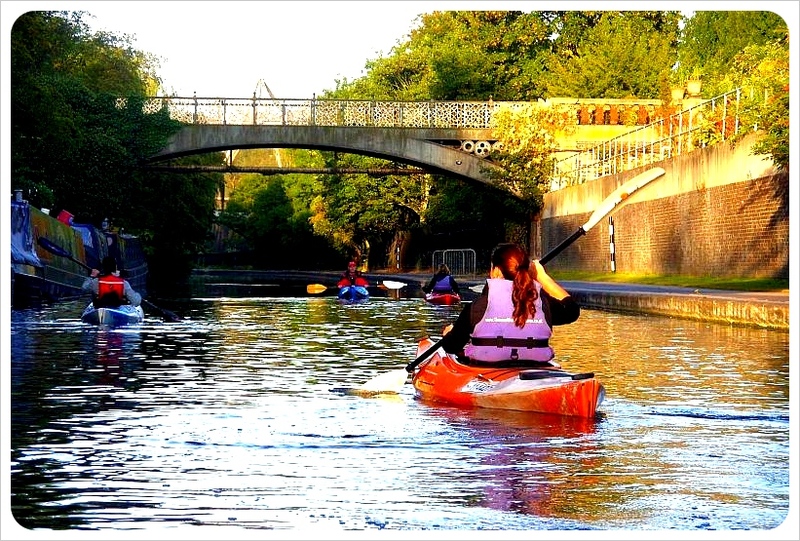 Exploring the famous university towns of Oxford and Cambridge? 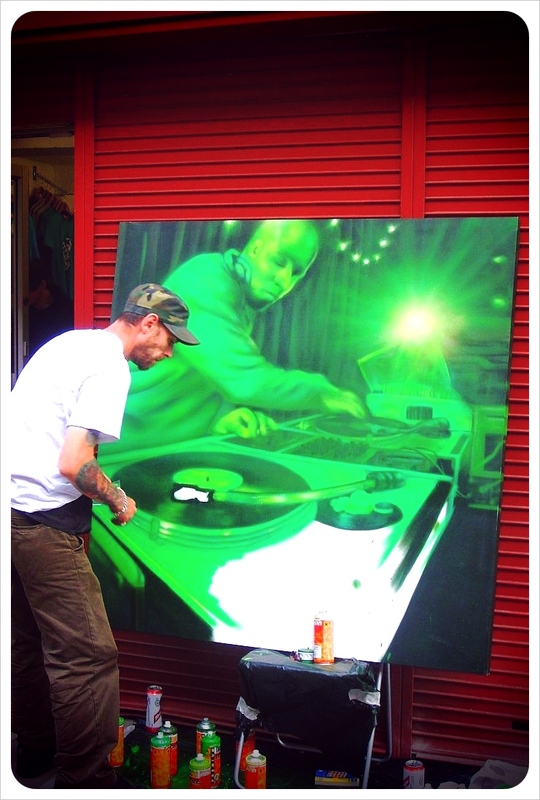 Discovering the music scene in Manchester and Liverpool or head to the coast to Bristol, Cardiff or Brighton? England has so much more to offer than just London, and given how small the island is, you can actually see much of the country in a week to ten days. England has a fantastic train system and plenty of good bus connections, but there are a few places where it pays off to have a car, such as a trip to the Cotswolds with its scenic little villages and rolling hills.Already in the 1960s designated as an ‘Area of Outstanding Natural Beauty’, the Cotswolds are one of the most popular places to visit in England, and only a short 2-hour car ride from London, they make for a perfect weekend getaway if you hire a car. 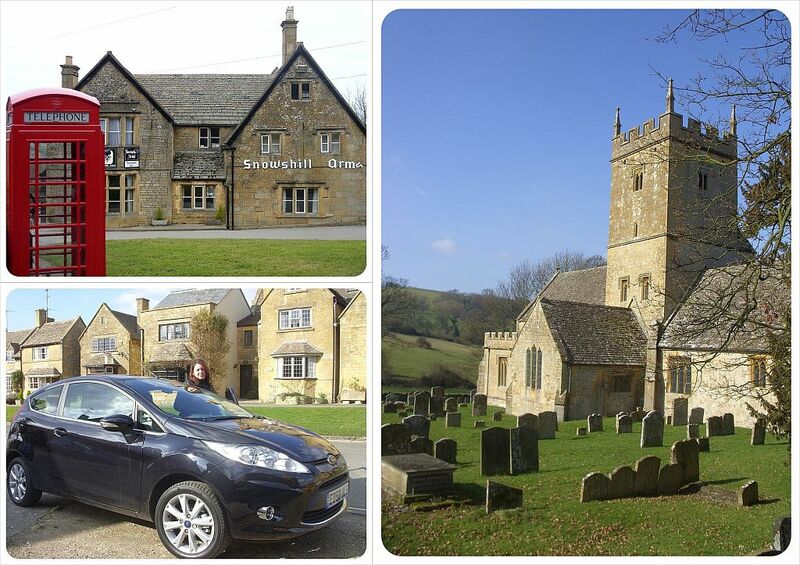 The best way to see as many of the little villages such as Bibury, Broadway, Tewkesbury or Bourton-on-the-water and charming small towns like Stroud, Cheltenham and Gloucester is definitely by car. You can drive along the country roads at your own pace and stop in as many places as you’d like, exploring the area without the time restrictions of a train or bus schedule. To get an authentic Cotswolds experience, pick a random village and rent a little cottage for a few days – we stayed in our own cottage in Snowshill and loved every minute of it. If you don’t feel comfortable driving on the left side of the road, you can visit almost any place in England by train. Manchester and Liverpool can be reached from London in just under two hours on a fast train, and even Edinburgh is only four and a half hours away. With some advance travel planning, train tickets don’t have to break the bank, either. TheTrainline.com is a great source for discount train tickets, such as to Brighton for as cheap as £5.00 (instead of £23.10), tickets to Edinburgh for as little as £19.10 (instead of £60.50) or to Manchester for £18.00 (instead of £49.00). The trains in England are quick, comfortable and mostly on time, and can be a very enjoyable experience. Take a bus to Oxford for £1! For the absolute cheapest way to travel in the UK, we recommend Megabus. Their buses run across all of Britain and there are constant promotions for £1 ticket sales. If you know where you want to go about three to four weeks ahead, these tickets allow you travel, practically for free. Megabus also goes all the way to Edinburgh and Glasgow for under £10 – cheaper than the train, but also a much longer journey (usually an overnight bus or an all day journey). For shorter distances like Oxford, two hours away, Megabus is a great option. Even though Britain is relatively small, there are some places that are reached quicker by plane, and often not more expensive – if not even cheaper – than the train. With budget airline Easyjet, you can find tickets from London to the Scottish Highlands (Aberdeen or Inverness) for only £30, making it as cheap as the train, but cutting down your travel time. 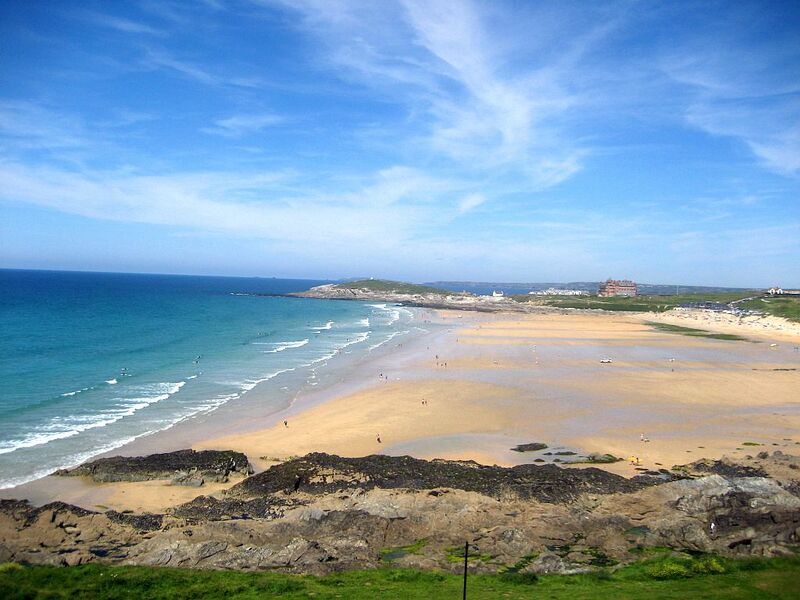 Flybe, another budget airline, offers flights to Newquay in Cornwall for £37 (sometimes even cheaper) and other destinations in the UK and might also be worth checking when you are planning to visit other cities in the UK. For those travelers looking to see England at a snail’s pace, England rolling geography is perfect for rambling, hillwalking and cycling, with long-distance paths criss-crossing the country. There are several week-long breaks that can be booked with various tour companies, and these simple, slow breaks also make the English countryside pub the perfect end goal of each day! Cornwall is a stoic county in the South West of England set snugly between the Devon border and the Celtic Sea. Here the salty Atlantic to the north merges with the English Channel to the south to create a beautiful coastline and otherworldly weather fit for tropical plants, fabulous surfing and a sophisticated local style. Cornwall has always had a stellar reputation for art, beaches and myth. Stroll through any of the county’s harbour towns and you’ll find narrow cobblestone streets spotted with art boutiques and surf shops. Places like Newlyn and St Ives pin Cornwall firmly into the nation’s art scene and inspire newbie artists and writers with local tales of mermaids, giants and pixies and the scenes of crashing seas and walks along rugged coast paths. The tip of the South West peninsula is diverse with its wild moorlands of Bodmin and beaches, both soft, sandy ones and those with grey pebble ridges. The moorlands are a place to feel the elements with the wind ruddying your cheeks as you traverse valleys and hills with aching legs, uncovering ancient relics like barrows, fougous and standing stones. Some of these relics are even located in what are called areas of Special Scientific Interest, and all of them hard back to a primitive time before Cornwall had its tin mining boom and before the birth of the epic Cornish pasty. Speaking of the renowned Cornish pasty, before heading out to enjoy the county’s natural wonders, you will need to fill your belly and there is nothing better than this traditional Cornish food. In fact, as a Protected Product of Origin, Cornwall is the only place allowed to produce true Cornish pasties, which are hand-crimped into a ‘D’ shape. Almost every bakery in the county will have a secret recipe hailing from the days when the miners used to take them into the belly of the county for their lunch. The crimped handle was a genius solution to the problem of arsenic poisoning in the mines as miners could use the crust as a handle; handy and lifesaving. They might not look it, but even one pasty is enough to stuff your belly, so walk it off through the legendary country along the South West Coast Path which connects the county town to town. The steep coast path snakes along the edges of the cliff faces for almost the entire length of the Cornish coast. The paths have been carved throughout time from the heavy footfall of walkers seeking panoramic views and solace. Although the majority is marked well, in a few places the hike can prove quite a challenge. The incredible Tintagel on the north coast, the reputed birthplace of King Arthur and the Bedruthan Steps, home to the giant Bedruthan at Mawgan Porth can be best viewed from the path. Best of all it is free and gives you a chance to gain artistic inspiration and build a hefty appetite for that tasty Cornish pasty. 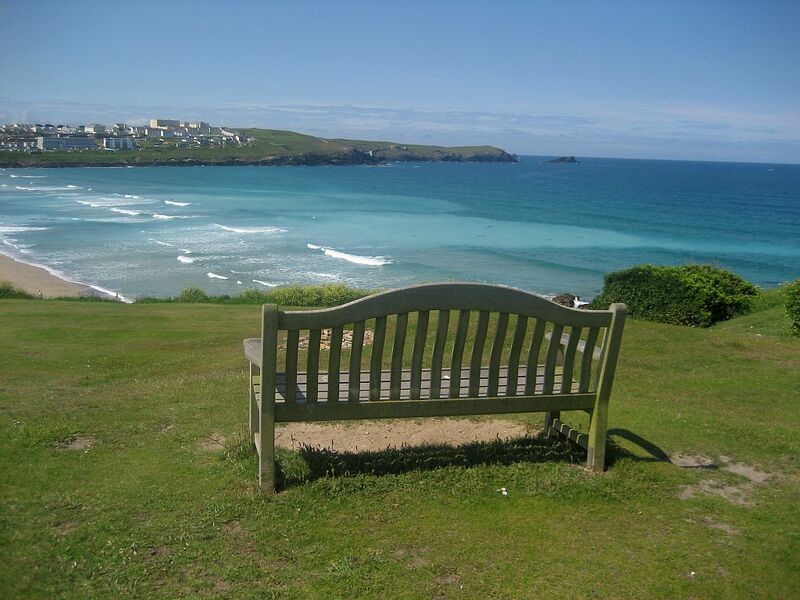 If you are looking for a place to stay in Cornwall Farm & Cottage Holidays has a great selection of self-catering cottages all over Cornwall. There really is no better way to experience a traditional Cornish holiday than waking up in a cosy cottage and planning your day over a steaming hot cuppa. Author Bio: My name is Kelly Quance, and I am South West through and through. I have lived here all my life and made it a point to discover the best the South West has to offer, from where to devour the best cream tea to finding out where the Cornish giants are hiding these days. I am lucky enough to write about the flavours, scenery and quirks of my favourite place in the world every day. Although travelling in the UK can be expensive, there are some really easy ways to stop the cost of your break from spiralling out of control. Keep a lid on the cost of your holiday and have fun at the same time. Here are some top tips for taking a trip to the UK on a budget. Getting around is one thing that can really eat into your holiday budget in the UK if you aren’t careful. The cost of train travel can vary immensely so booking in advance is always a good idea if you know the dates and times that you wish to travel on. The TrainLine is an easy to use website for trains or check out Mega Bus for really cheap inter city bus travel around the UK. If you are have use of a car to travel around the UK then use one of the many park and ride bus systems that mean you can avoid having to navigate around city roads and having to purchase expensive city parking too. Winner! There are plenty of options for eating on the cheap in the UK. Eating in your accommodation is usually one of the most cost effective ways of feeding yourself, with supermarket own brand products representing the best value for money. If you are staying in self catering accommodation, like a hostel or holiday cottage, then eating a good breakfast and taking a packed lunch with you can save you having to splash out during the day. If you do want to eat out, scan local newspapers and leaflets for discount vouchers in some of the most popular chain restaurants. Think about when you are eating out too. Many restaurants offer a special lunchtime menu or a cheaper evening offering during the week – great news if you want to eat out at a nice restaurant without breaking the bank. Much of the food that the UK is best known for really won’t break the budget though! Traditional foods like fish and chips, Cornish pasties and full English breakfasts can be picked up for just a couple of pounds and let’s face it, no trip to the UK would be complete without trying these! There are loads of cheap accommodation options in the UK. 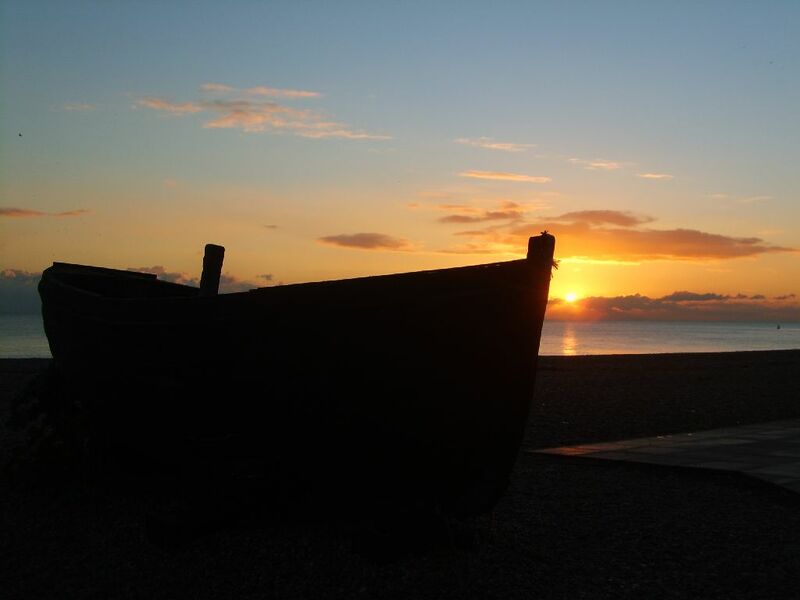 From budget hostels that are great for people travelling on their own, B&B’s and hotels for extra privacy and self-catering holiday cottages for rent that are great when you are travelling as a group or want to stay in the same place for a while. Visiting popular tourist attractions and theme parks can quickly run a hole in your budget. But, by being savvy and doing your research you can make sure that this doesn’t happen. Search online for two for one discounts or details of off peak cheaper entry and you can save a fortune. Also, if there are a few of you going then it may be worth looking into if you can get a group discount. There’s nowhere better than London to immerse yourself in one of the most eclectic and vibrant cultural scenes in the world. The Olympics and its accompanying events might be seen by some as the highlight of the year, but there’s plenty going on after the Games have ended. Here are our picks of some of the best! This is an excellent festival to take in if you’re on a bit of a tight budget and staying in a low cost hotel in London as a result. The free annual event is always great fun for the whole family, with a host of disabled and deaf performers and artists putting on shows and displaying their works around Trafalgar Square. While a lot of the participants will be local to London, plenty of others will come from elsewhere in the UK and the rest of the world, so this is likely to expand your cultural horizons quite a lot! 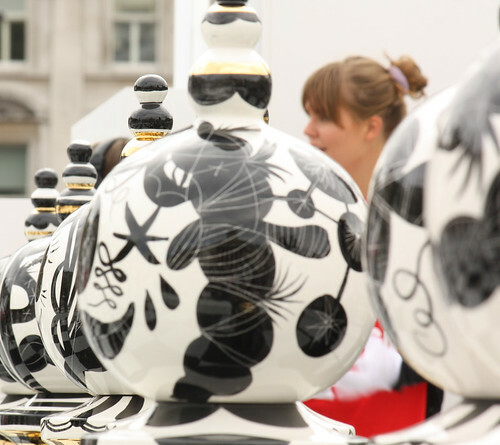 This huge event attracts 350,000 people to venues across London every year, making it a must-visit festival if you have any kind of passion for the visual arts. It’s perhaps best known for its Landmark projects, which will this year include an impressive sculpture entitled Flowing Glass at Somerset House and the BE OPEN Sound Portal installation in Trafalgar Square. Other highlights will include Keiichi Matsuda’s Prism installation at the V&A, as well as a large-scale piece by Rolf Sachs, which will be displayed at the museum’s Henry Cole Grand Staircase – a part of the building that isn’t usually open to the public. Bollywood films are pretty famous for its bouncy song and dance routines, but the best way to get a feel for Indian music is by learning more about the country’s classical scene. Head to the Southbank Center for the Darbar South Asian Music Festival and you’ll be able to do just that. There’ll be lots of performances to choose from, including a show by the only Indian female classical solo player of the pakhawaj, which is an incredibly old percussion instrument. A tribute to famed sitar player Ustad Vilayat Khan, who died in 2004, will also take place during the festival. This is a little highbrow, but well worth attending if you’re fascinated by the sight of experts debating hot topics in their respective fields. 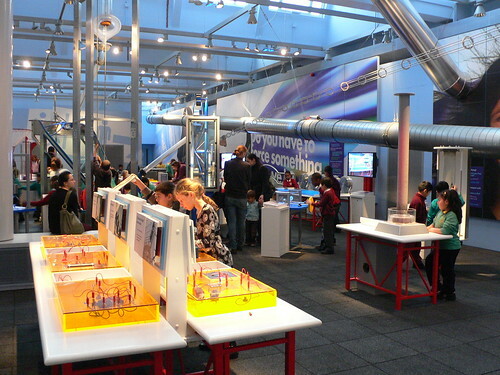 Around 350 speakers will discuss everything from art and politics to education and the economy over an amazing 75 sessions, so there’s sure to be something to suit your own interests. 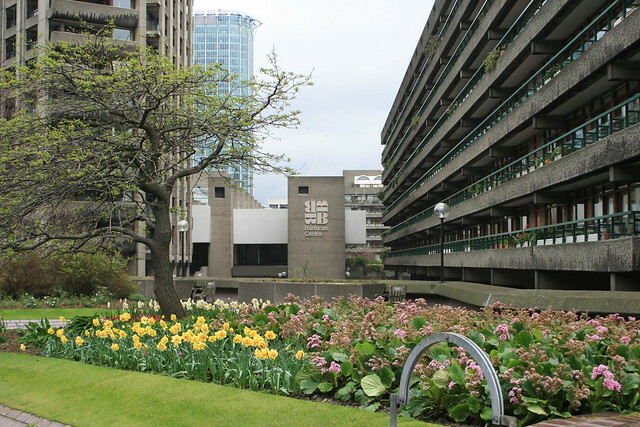 The 2012 edition of the event will mark the first time the Institute of Ideas has held the debates at the Barbican, making this a particularly special few days – and offering a great opportunity to combine seeing a heated discussion with taking in a film, play or concert! If you don’t fancy the Battle of Ideas, the Frieze Art Fair might be more up your street. Taking place at the same time as the aforementioned event, this incredible fair collates works from some of the most talked-about galleries in the world across many separate exhibitions. You’ll also be able to hear artists and experts talk about specific art movements and pieces in lectures, seminars and panel discussions, offering a great experience for anyone who wants to learn all about contemporary art. Are you planning to attend any of these events? Which festivals would you recommend to visitors to London? Let us know in the comments! The UK is one of the best places in the world for luxury travel. During our four years living there, we stayed around the country in everything from gorgeously refurbished farm houses to chic city design hotels. The amount of luxury hotels in the UK is astonishing, and so many appear on the travel industry’s annual lists of ‘Best Design Hotels’, ‘Best Luxury Hotel’ or ‘World’s Best Hotels’. As a pair of adults traveling, we had no problem choosing hotels with spa amenities, but for families it can be very tough to find the right balance of luxury and family-friendliness. There are a handful of excellent hotels that do just that: in addition spa treatments, top cuisine and stunning design, these luxury family hotels offer childcare facilities, baby equipment and kid-friendly actiivities, plus plenty of toys and space to play. Adults can have a grown-up time and feel secure that their children are being looked after. Here are three of our top picks for family-friendly luxury hotels in the UK, which can all be booked on luxuryfamilyhotels.co.uk. 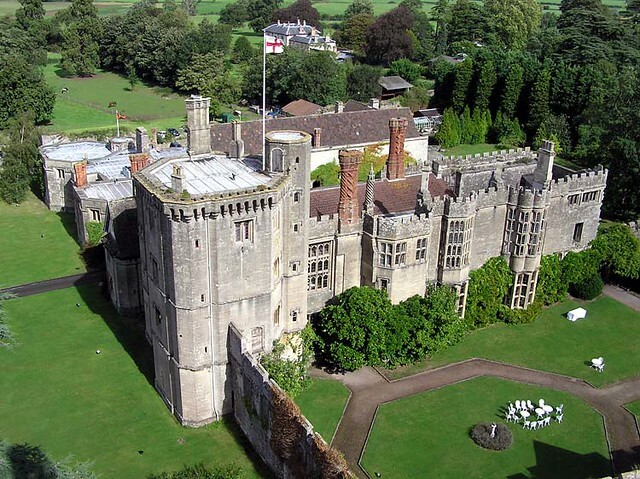 Join some of Britain’s most famous travelers, like Henry VIII and Anne Boleyn, with a getaway at Thornbury Castle, a beautiful Tudor castle on the edge of the Cotswolds. 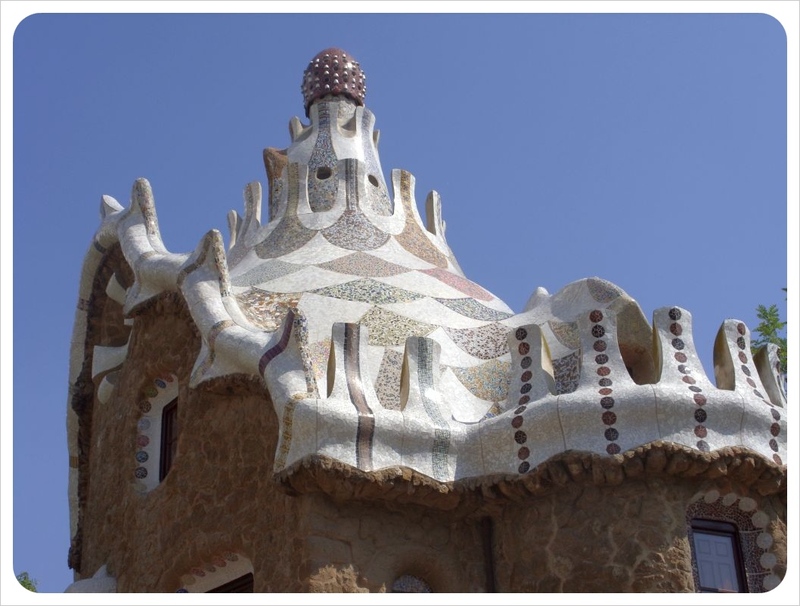 The 500-year old structure itself is magnificent, and the grounds are the ideal place for kids to play. The whole family is sure to be stunned by the winding staircases, heavy oak doors, suits of armor, roaring fireplaces and even secret panels. Although there is no spa on site just a short drive from the castle is Vicarage Farm, a holistic therapy center where guests of Thornbury Castle can book massages and other spa treatments. Possible day trips from here include the ruins of Glastonbury Abbey, Stonehenge and Bath, or explore the beautiful countryside and picturesque villages of the Cotswolds. New Park Manor is a family-friendly luxury hotel in the New Forest. The country house hotel features a world-class spa, a fabulous swimming pool and combines the original style of an English manor with contemporary design. With only 24 rooms, the hotel feels exquisite and is the perfect place to relax for a few days. New Forest with its unique wetlands and woodlands makes for great walks for the whole family, and kids will love the famous New Forest ponies. If you are looking to have some ‘adult time’ or relax in the Bath House Spa, your kids will be taken care of in the childcare center or can enjoy the indoor pool. If you are looking for some culture in addition to the nature retreat, you can take day trips to Salisbury, Winchester or Exbury Gardens from New Park Manor. The Elms Hotel in Worcestershire is housed in a gorgeous Queen Anne mansion which offers fantastic facilities for families: a spa, swimming pool, beautiful grounds and world-class food (and wine). The mansion was built in 1710 and is surrounded by miles and miles of idyllic countryside where your kids – and pets, who are also welcome at Elms Hotel – can play and walk for hours. Kids can also meet other kids in the complimentary childcare while adults enjoy spa treatments or a nice dinner at the Pear Terrace Brasserie. The location is ideally situated to explore the Midlands, Drayton Manor and Witley Court. As we zigged and zagged fifteen minutes through the countryside past nothing but rolling green fields and herds of lazy sheep (there are over 11 million in tiny Wales), it was hard to believe a beach could be at the end of this ride out from Swansea. Sure enough, however, the bus through the Gower Peninsula hit the Wales coastline at Rhossili Bay and we were absolutely awestruck at its natural beauty. Green hills unfold down to the sea to the southeast, while their sheer cliffs jut down to wide, sandy beaches below. After a wind-whipped ramble along the Rhossili Bay shore, we hopped on the Gower bus and followed the coast further east for hours, passing more of those lonely sheep, sleepy fishing villages and long stretches of deserted beaches with their limestone caves and colorful shells. There was a quick stop in Port Eynon Bay, one of the Gower’s most popular beaches, before moving on to the long Oxwich Bay and finally Three Cliffs Bay, its namesake obvious even from far in the distance. Despite its 7,800 miles of coast line (750 of which are in Wales), Britain is not considered a beach destination in the traditional sense even though you are never further than two hours from a beach anywhere in Britain. The most popular beach destinations in Britain tend to be Brighton or Cornwall but the Gower Peninsula in Southern Wales is the first of Britain’s Areas of Outstanding Natural Beauty (AONB), and Rhossili Bay was voted Best Beach in Britain in 2010. During the summer months brave visitors can go for a swim, but the chilly Atlantic never warms up as much as the Mediterranean and we only dipped a toe in the water here. However, for surfers, especially windsurfers, the waves are just right, and for those who are not into water sports, there are endless walking and cycling paths along the coast line which can be enjoyed at any time of the year. One day we’d like to do the whole of the Cambrian Way, 275 miles of coastal pathway from Cardiff to the north of Wales. Speaking of Cardiff, while Swansea is a great base for exploring the Gower, with cozy bed and breakfasts for £40, no trip to Wales is complete with a stop to the ritzy Welsh capital. Cosmopolitan Cardiff prides itself on its mix of modern and historic cultural attractions like the world-class Millennium Centre – home of the Welsh National Opera, the New Theatre – the city’s oldest, built in 1906, and the truly breathtaking Cardiff Castle – one of Britain’s most significant historic structures. The city’s luxurious spa hotels such as the grand St Davids Hotel Cardiff offer guests a weekend of relaxation and pampering. We have found, however, there are plenty of hotels in Cardiff for mid-range to budget travelers as well, and plenty of affordable attractions and things to do in the city. Friends and family have recently been asking us if we miss London, the city we lived for three years before starting our travels. While we wouldn’t trade life on the road right now for anything, the questions did get us dreaming about what our perfect day in London used to look like…. English novelist Samuel Johnson said, “Those who tire of London, tire of life,” – a timeless statement as true now as ever before. For those who live in ‘the Big Smoke’, loving London goes far beyond the ‘hotel and theatre London’, double-decker buses, afternoon tea, Big Ben and Buckingham Palace, although these are a classic and essential part of London life. We would finish up around 7:30am, and although it would still be a bit early, there is always something happening in Camden, where the tour ends. People watching here is priceless round the clock, but at this time of the morning, club kids are making their way home and the few ‘suits’ who live in Camden are marching to their City offices. Not us! 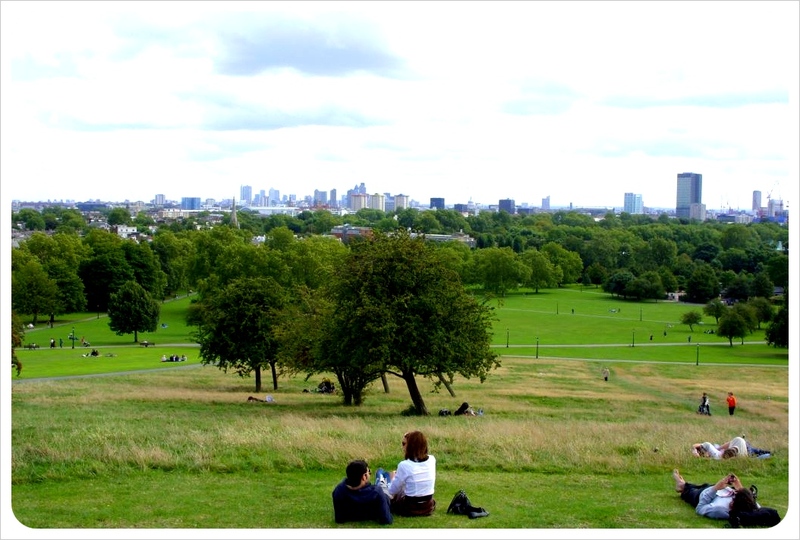 We just love to grab a coffee and stroll through the mix of punk, bohemian shops and cheap markets without the masses, and then head over to join the dog-walkers and joggers on Primrose Hill, one of the best views over London (where some celeb-spotting is possible during the day). At this point, we figure we would be starving, and so we would head over to the Breakfast Club near Angel tube station in the Islington area. There are a few Breakfast Club cafes around London, but this one is by far the most popular, so expect to queue. While we wait, we’d check out the nearby indie and antique shops as their doors just squeak open in the morning. The energy at this time is still fresh and friendly, before it gets crowded in the afternoon. After our bellies are good and stuffed with British (The Full Monty, or a Cheddar & Marmite Toast) or American-style breakfasts (pancakes, french toast, eggs and hash browns), there is no question where we would walk it all off. From Angel station, we’d hop on the 73 bus which comes from central London and heads east to Stoke Newington Church Street. We’d be on our way to Abney Park. 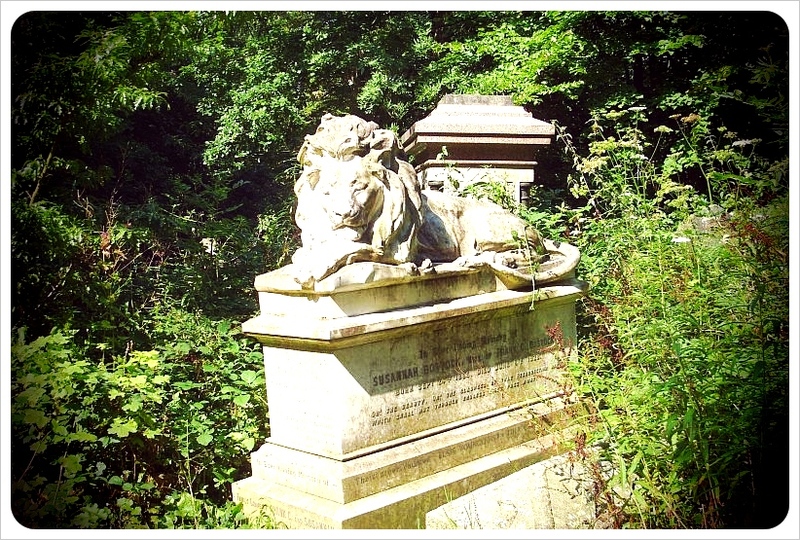 This part of East London is home to the struggling artists, future creative genius types who are as drawn to Abney Park as we are… Not actually a park, this is actually a cemetery, and a mystical, almost magical Victorian cemetery at that. The tombstones are fascinating and the spot is perfect for a long walk or total relaxation – and the best part is that tourists have yet to find this treasure, even though it was featured in Amy Winehouse’s Back to Black video. Now that we’ve relaxed, and Dani has taken another hundred pictures of the place, we would head down to the heart of East London – Shoreditch. 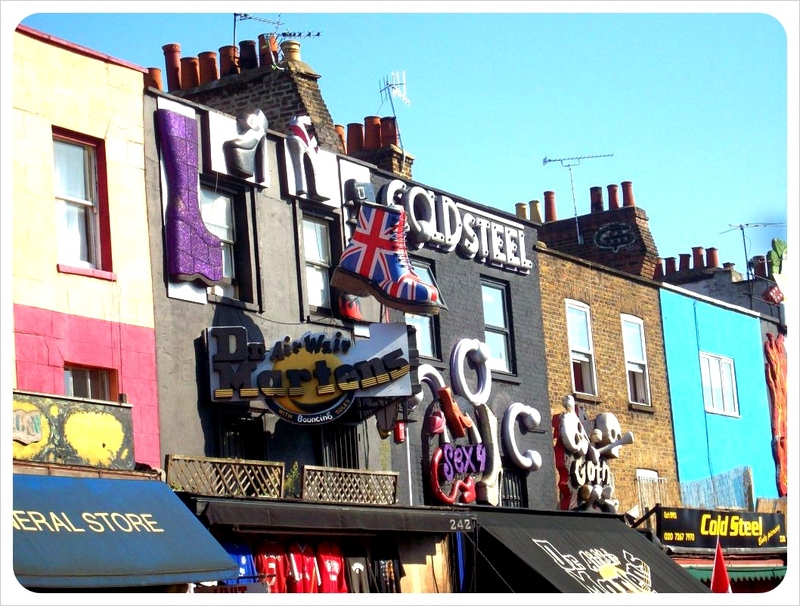 We love to walk up and down Brick Lane and Shoreditch High Street and peek into all the trendy shops and bars that pop up here. If we’re feeling peckish, as the English say, we could grab a quick bite at the all-vegan Rootmaster restaurant, set in a converted double decker bus near the Old Truman Brewery. The OTB is no longer a brewery, but a trendy urban market where up and coming designers sell clothes, there are antiques and quirky gifts, plus various spots to eat. There are no chains here, and while money has started to flow in Shoreditch, this whole area is still (arguably) an authentic artists enclave…for now. We also never miss the chance to stroll through Spitalfields Market, one of our absolute favorites in the city. Here there are some of the most amazing collections of everything you ever wanted for sale. New belt? The coolest belts are here. So retro you only listen to cassette tapes? You’ll snap up your favorite bands on tape here and records, too. On certain days, Spitalfields has huge collections of records, in fact, plus great clothes, even greater purses and bags, and merchandise both bargain and up-scale that you had no idea you even wanted. If we haven’t been sucked in to one of the many restaurants located in Spitalfields, the next place we’ll head to, without a doubt, is Brick Lane. 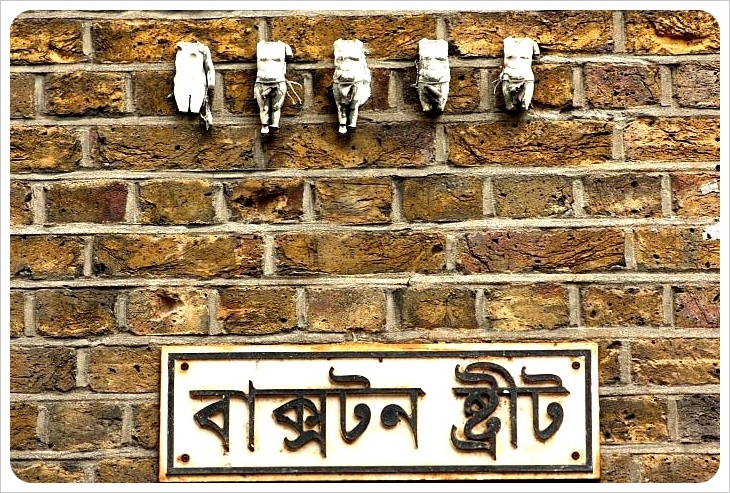 Brick Lane has historically been London’s Indian and Bangladeshi enclave, and as a result is an excellent spot for some of the best Indian food outside of India. This street is right on the tourist path, actually, but we don’t care. The street is lined with dozens of great Indian restaurants, and each wants to get you inside. We typically barter for at least one free bottle of wine and hopefully at least a free appetizer before stepping through the door of any of the restaurants. You can’t beat free booze, and no matter where you end up, the meals will always satisfy, and usually for under ₤20 for two people. After we’ve had enough wine to loosen up the dancing legs, Dani would probably want to go dancing. 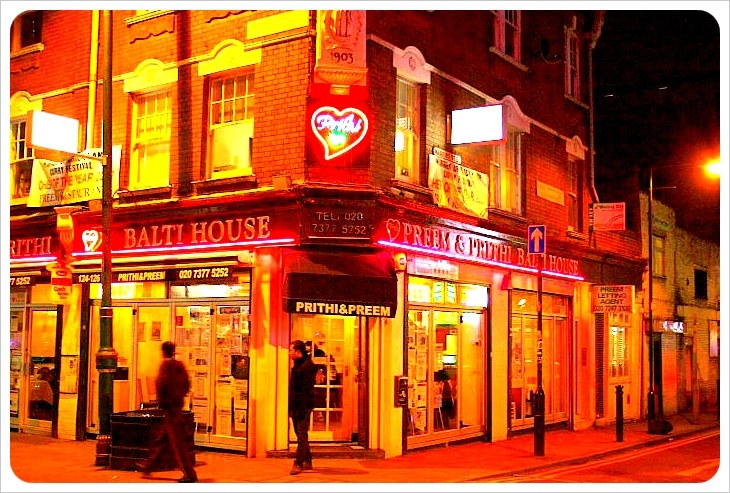 Being in east London we would head over to the Electricity Showrooms or the Hoxton Pony for dancing, 93 Feet East for clubbing, quirky Callooh Callay or the Bedroom Bar for a relaxing but intoxicating end to the night. 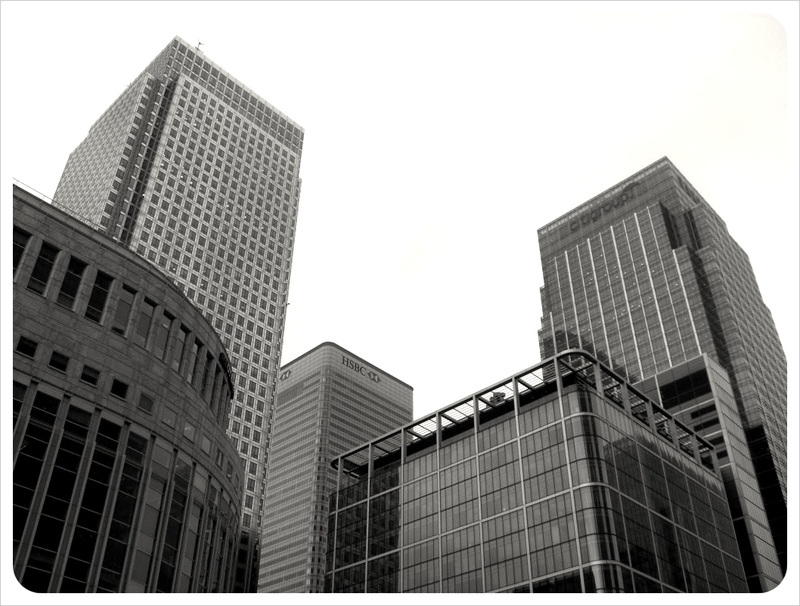 Because we are right in Shoreditch, we could jump right on to the new East London Line and head to Canary Wharf. 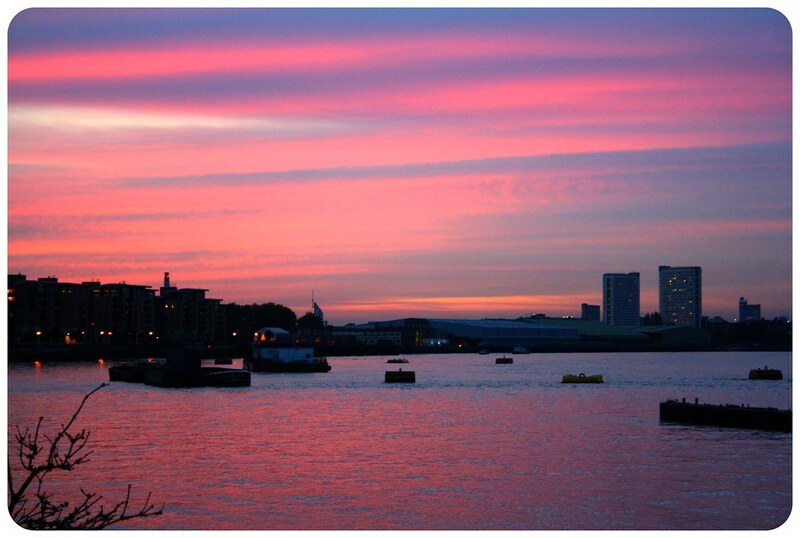 We really love the maritime feel of this side of London, how connected to the water the area is.